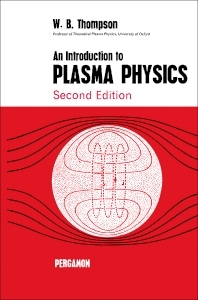 An Introduction to Plasma Physics, Second Edition focuses on the processes, reactions, properties, and approaches involved in plasma physics, including kinetic theory, radiation, particle motions, and oscillations. The publication first offers information on the introduction to plasma physics and basic properties of the equilibrium plasma. Discussions focus on the occurrence of plasma in nature, technological aspects of plasma physics, quasi-neutrality and plasma oscillations, transmission of electromagnetic radiation through plasma, production of plasma by shock waves, and degree of ionization in a thermal plasma. The text then ponders on arc plasma, magnetohydrodynamics, and magnetohydrodynamic stability. The manuscript takes a look at plasma dynamics and particle motions and kinetic theory of the plasma. Topics include dielectric behavior of a magnetized plasma, approximate treatment of particle orbits, formal derivation of the drifts, macroscopic effects of particle motion, consequences of the magnetic moment, and transport equations and hydrodynamics. Low-frequency oscillations of a uniform magnetized plasma, stability and perturbation theories, and approximate procedure for solving the transport equations are also discussed. The publication is a highly recommended source material for readers interested in plasma physics.